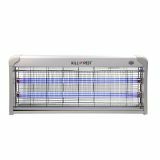 Electronic device (UV lamp) to combat annoying mosquitoes and other insects with mosquito nets. 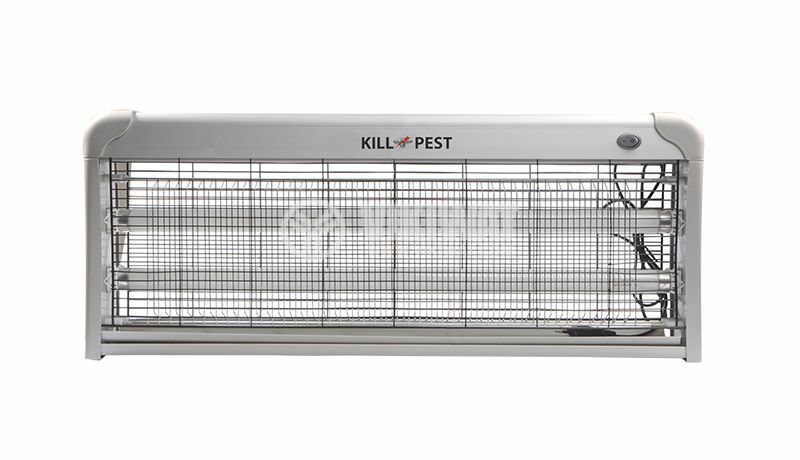 With his help it will be much easier and more efficient to get rid of the insects. In a safe and completely non-toxic way, you provide peace of mind in the apartment, office or garden! The mosquito lamp is an extremely effective mosquito, fly and other annoying device. The device is equipped with two ultraviolet cigars that emit strong UV fluorescent light attracting insects. When touching them to the high-voltage grid, a volcano arc is formed that kills them in place. The outside mesh protects the person from touching the high voltage grids. Specially designed ultraviolet tubes are completely safe for a human or a pet. The insect lamp does not emit smoke, smell or harmful emissions. 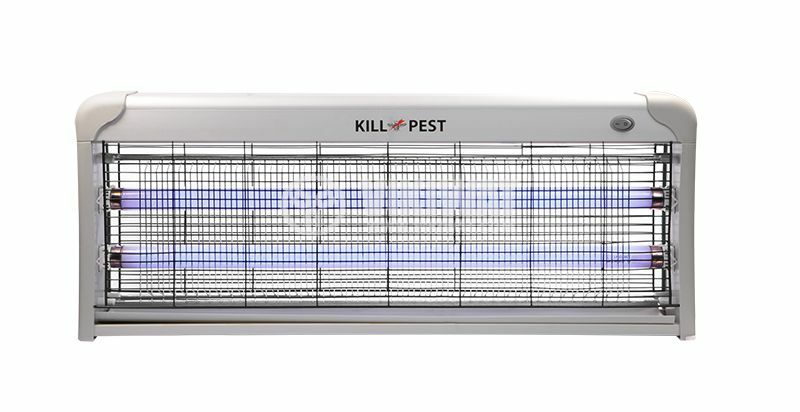 The killer lamp of all flying insects is ideal for houses, restaurants, grocery stores, butchers, hospitals, also in caravans or tents in the wild, etc. 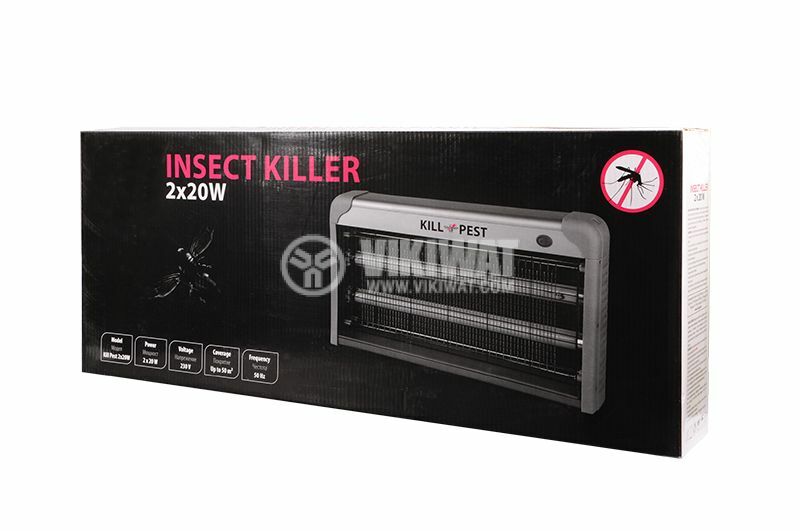 The insect device is lightweight, slim and elegant with modern design, high efficiency and safety. 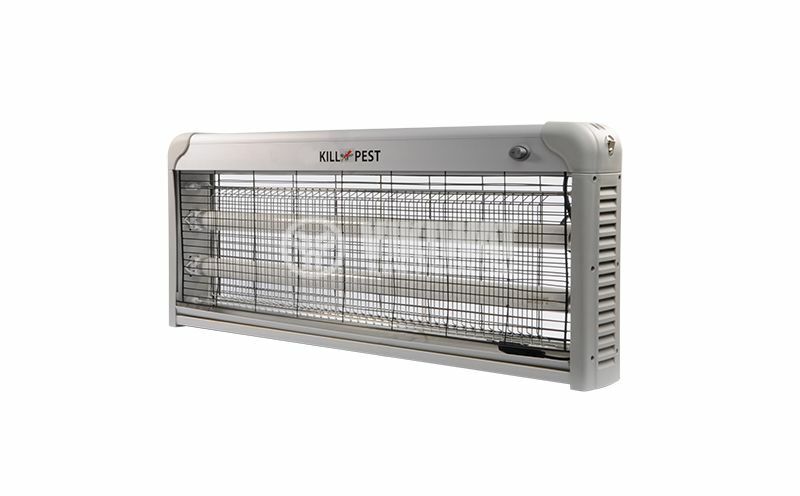 The insect killing net does not clog, rust, and remains on a smooth and stable surface. The appliance is not suitable for use in barns, stables, and the like. 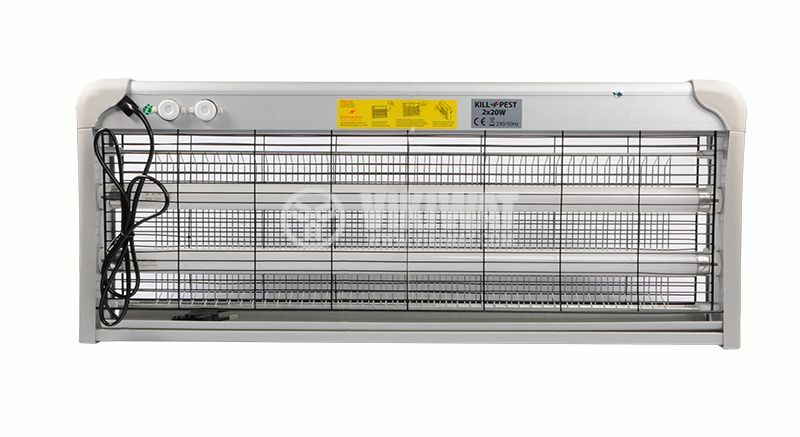 The appliance should not be used in places where flammable vapors or explosive dust are likely to occur. metal chain for attaching the appliance - 0.8 m, included in the set. The insect lamp is designed so that the starters can be changed without having to open the hull. Перфектно оръжие за борба с насекоми, на ниска цена. Използвам го в градината, върши много добра работа.